505 Beacon is located on the south side of Beacon, between Massachusetts Avenue and Charlesgate East, with 503 Beacon to the east and 507 Beacon to the west. 505 Beacon was designed by Carl Fehmer, architect, and built in 1888 by David Connery & Co., masons and builders, on land owned by Marion (Gray) Lewis, the wife of George Lewis, Jr., a wholesale dry goods merchant. They lived at 98 Howard Avenue. D. Lewis (probably a misreading of G. Lewis) is shown as the owner on the original building permit application, dated April 4, 1888, and on the final building inspection report, dated November 24, 1888. In 1887, Carl Fehmer had designed a pair of buildings in a similar design at 507-509 Beacon. Marion Lewis purchased the land for 505 Beacon on February 20, 1888, from Nelson S. Bartlett. It was the western half of a 40 foot wide lot Nelson Bartlett had acquired on February 16, 1887, from Louis Curtis, part of a 75 foot wide lot Louis Curtis had purchased on November 24, 1885, from Lewis A. Dabney. Lewis Dabney had purchased the lot on October 31, 1885, from Henry M. Whitney. The land was part of a parcel originally purchased from the Boston Water Power Company on June 1, 1880, by a real estate investment trust formed by Francis A. Palfrey, Francis A. Osborn, and Grenville T. W. Braman. 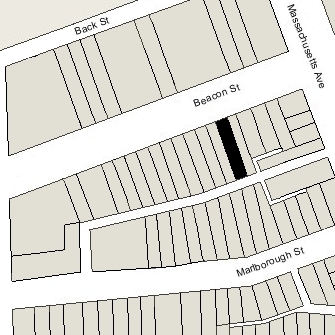 Click here for an index to the deeds for 505 Beacon, and click here for further information on the land west of Massachusetts Avenue between the south side of Beacon and the north side of Commonwealth. As the house was nearing completion, it was purchased from Marion Lewis by insurance dealer Frank Eliot Sweetser. He and his wife, Susan Jameson (Anderson) Sweetser, made it their home. They previously had lived in Charlestown. 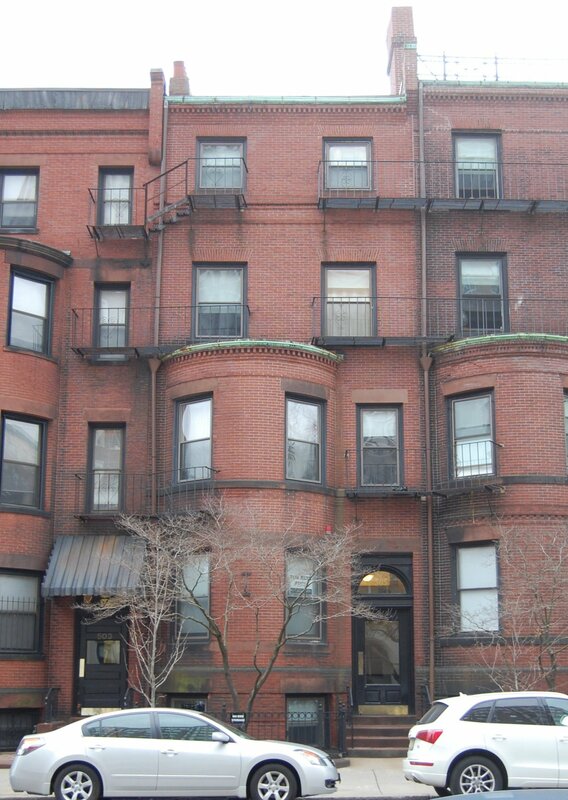 The Sweetsers continued to live at 505 Beacon during the 1895-1896 winter season, but moved thereafter to Brookline. On November 30, 1895, 505 Beacon was purchased from Frank Sweetser by Anna Dunn (Phillips) Williams, the wife of Dr. Francis Henry Williams. They previously had lived at 23 Marlborough. They also maintained a home in Tamworth, New Hampshire. Francis H. Williams was a physician and a pioneer in the use of x-rays and radiation for both diagnostic and therapy purposes. He maintained his office at 505 Beacon. Anna Williams died in April of 1933. 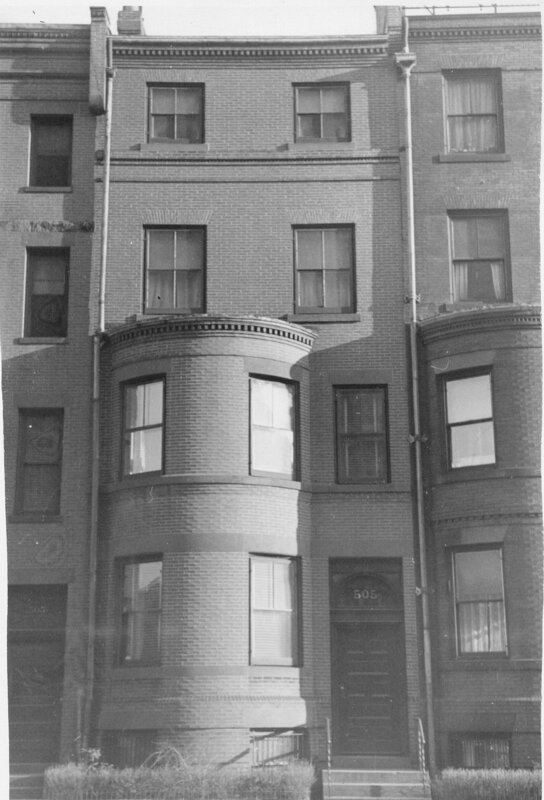 Francis Williams continued to live at 505 Beacon until his death in June of 1936. In her will, Anna Williams had named Atlanta University as a residual legatee of her estate, establishing a trust fund in memory of her parents, John Charles Phillips and Harriet (Welch) Phillips. Among the trust’s assets was 505 Beacon. On December 16, 1936, 505 Beacon was acquired from the trustees under Anna Williams’s will by real estate dealer Henry C. Brookings. On April 21, 1937, it was acquired from him by the Federal Realty Corporation. On July 15, 1937, 505 Beacon was acquired from the Federal Realty Corporation by Albert Crittendon Kelley, a civil engineer and surveyor, and his wife, Elsie A. (Johnson) Kelley. They previously had lived in Harwichport. In December of 1937, he filed for (and subsequently received) permission to convert 505 Beacon into a lodging house. The Kelleys continued to live at 505 Beacon and operate it as a lodging house until 1947. In 1947, 505 Beacon became the home of Frederick G. Chase and his wife, Evangeline (Cooper) Fellowes Chase. They previously had lived at 40 Tremont. They continued to operate 505 Beacon as a lodging house. Frederick Chase was a stockman with the General Supply Company and later a plumber. The Chases separated by the late 1940s and subsequently divorced, On July 24, 1951, Frederick Chase acquired his former wife’s interest in 505 Beacon. He continued to live there and operate it as a lodging house until his death in 1964. On September 24, 1965, 505 Beacon was purchased from Frederick Chase’s estate by Franklyn G. Bill and Sidney R. Handler, trustees of the C and S Realty Trust. They continued to operate it as a lodging house. They already owned 507 Beacon which they also operated as a lodging house. On September 24, 2008, Priscilla (Pittman) Bill (Franklyn Bill’s wife and successor as trustee) and Sidney Handler transferred 505 Beacon to the 505 Beacon LLC (Priscilla Bill and her brother, Baird Pittman, were the managers of record). They transferred 507 Beacon to a comparable LLC on the same day. 505 Beacon remained a lodging house in 2018.